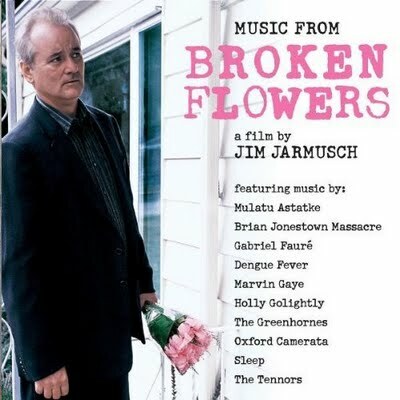 In his 2005 film Broken Flowers, Director Jim Jarmusch once again made an intriguing, talked about, little gem of an art house film. This independent film, starring Bill Murray as an aged Don Juan who visits his many past relationships in search of the sender of a mysterious letter from a purported offspring, was critically praised and did decent international business. Like almost all of Jarmusch’s films, it then became another part of his ongoing filmography that continues to grow a large cult following which will be studied, collected and revered. What made one of the biggest impressions on myself and many viewers of this particular film however, was the film’s soundtrack music. 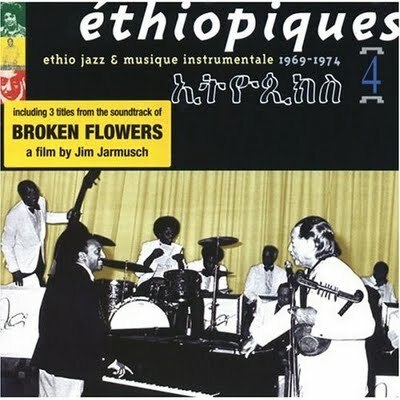 Jarmusch used as the bulk of the film’s soundtrack, the then little known music of Ethiopian Jazz composer Mulatu Astatke. Mulatu Astatke is the self proclaimed Godfather of “Ethio Jazz,” a style which he developed after years of traveling and studying abroad, absorbing various Latin Jazz percussion elements, and American Jazz and Soul stylings into his own brand of African or its better suited moniker, “Afro Jazz” music. 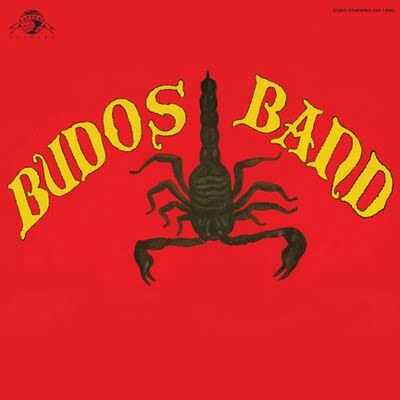 Over on Staten Island, the members of The Budos Band heard this sound, liked what they experienced, and have gone on to become one of the best American instrumental dance bands I’ve heard in a long time. 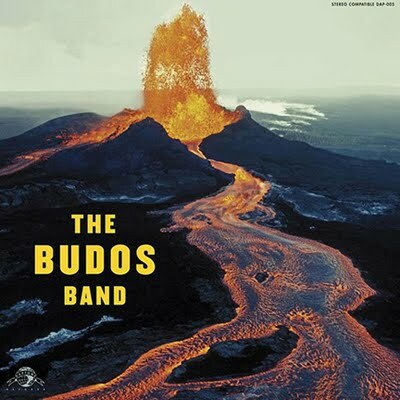 The Budos Band has been influenced by these Ethiopian Afro Jazz sounds, as well as James Brown’s R&B deep funk soul, some Latin Jazz and I imagine, a healthy dose of Bernard Herrmann soundtracks for Alfred Hitchcock films not to mention some of Sun Ra’s excursions into the outerspaceways of eccentric African American Jazz explorations. 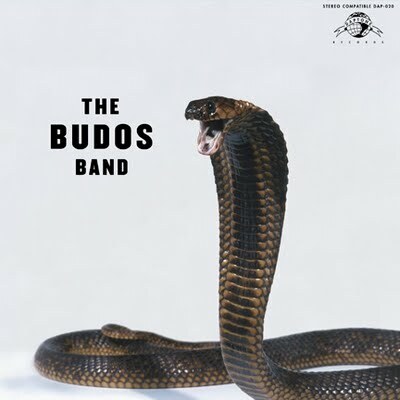 The Budos Band emerged in 2005 out of an ongoing series of open mic jam sessions and then releasing their first self-titles LP The Budos Band, on the then fledgling Daptone Records out of Brooklyn, NY. Daptone has since become one of the premier labels for what has loosely been termed the “Neo Soul” revival of this decade, with Sharon Jones and The Dap Kings being the most prominent act to come out on the label. With a sound that is performed by anywhere from nine to thirteen musicians, there are intricate interlocking grooves and hypnotic trance qualities as created by numerous percussionists, an omnipresent slinky organ, trumpets, Funkadelic-styled bass and a predominantly impressive baritone saxophone. All of their albums The Budos Band I, II and III plus numerous singles and an E.P. have been recorded at the Daptones Records in-house studio, Daptone’s House Of Soul in Brooklyn. This allows for a similar sound that builds upon each previous release while along with the accompanying cover artwork and song titles, provides an almost effortless consistency and a timeless grandeur. While the first two albums definitely had the band showing their influences, such as the strong Ethio Jazz vibe, their newest III, has the band members all bringing their own influences into the writing mix. So while there may be less of a distinctive point of reference, the powerful rhythms and unique Budos Band sound is pushed even further. Perhaps their darkest album, it might also be their strongest and most fun. Live the band really surprised me, appearing not as a group of clean-cut “Berklee School Of Music” graduates, or a slick bunch of session musicians just sleepwalking through a paying gig, but in fact they’re shaggy and yeah, even sleazy ’70’s stoner types, dropping F-bomb expletives throughout the performance in an effort to keep the assorted crowd dancing and having a fun night. As shocked as I was that my own music fan stereotypes were crushed by seeing what I would have called hippies, fratboys, NPR world music types, hipsters and indie rockers now all together enjoying a starkly original group of this quality, even more startling was how what appeared on the surface to be a rag-tag bunch actually were a locked-in dedicated band of professionals. Live, they are just amazing and the chops these guys show belie any outwardly slacker appearance. 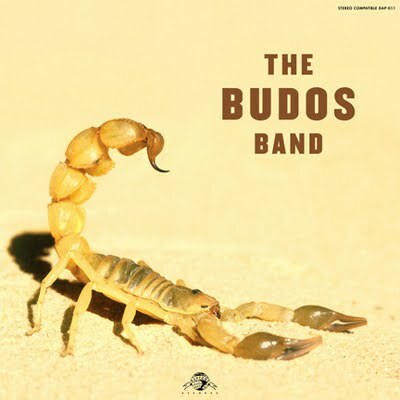 The Budos Band are on their way to becoming one of music’s phenomenal wonders, by hinting at the funky Afro soul and the Ethiopian Jazz they have acknowledged but also by providing present day audiences with a way of connecting to all the important large dance bands of the past. Their music has already been used in films, television shows and video games, their records sell in healthy numbers and they have successful world-wide tours, so I am sure that a band this great will continue to soar to an even higher ground. 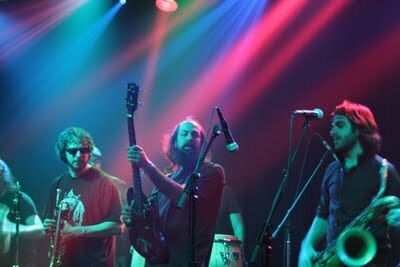 In an era where mainstream music is steeped in American Idol blandness, watered down insignificant hip hop, the flavor of the year teeny bopper pop, and tepid Top 40 acts that are for the most part forgettable when compared to those of only a couple of decades ago, it is a treat to have an instrumental group such as The Budos Band bring originality, humor, roadhouse sleaze, exotic tinges, the power of metal (without being a metal band) and challenging arrangements to the dance floor. A superb 27 volume (and counting) cd collection of Ethiopian Jazz music, called Ethiopiques, can be discovered and ordered here.